Friends and family. I found it. The best chocolate chip cookie EVER! I did research. Lots of research. And taste testing. Lots of taste testing. It was the best research ever brutal, I tell you. Brutal. Good thing I had Michael to help me. And Michael’s coworkers who so very graciously offered to participate in the taste-testing as well. And my parents. And my sister. And my friends. And my nanny babies. I joke about the research and taste-testing. But in all seriousness, I actually researched. I didn’t finish my laundry for a week. But I researched cookie ingredients. So that should count for about 10 chores, right? I found that if you increase the amount of brown sugar and flour, as well as the overall cooking temperature, your cookies will turn out to be glorious. So if you like thin, hard cookies, THIS IS NOT FOR YOU! This cookie recipe is for my people. My people who would rather eat raw cookie dough than bake it. For my people who see “Add 1 cup of chocolate chips” and chuckle knowingly and then add 3 cups of chocolate chips. For my people who tear a cookie in half before eating to make sure it doesn’t crack apart because if it cracks apart then CLEARLY it’s not doughy enough. This cookie is for you, fine people. Cream together butter, sugars, vanilla, and egg. In a separate bowl, mix together flour and baking soda. Add the dry ingredients to the wet ingredients one cup at a time. IMPORTANT! 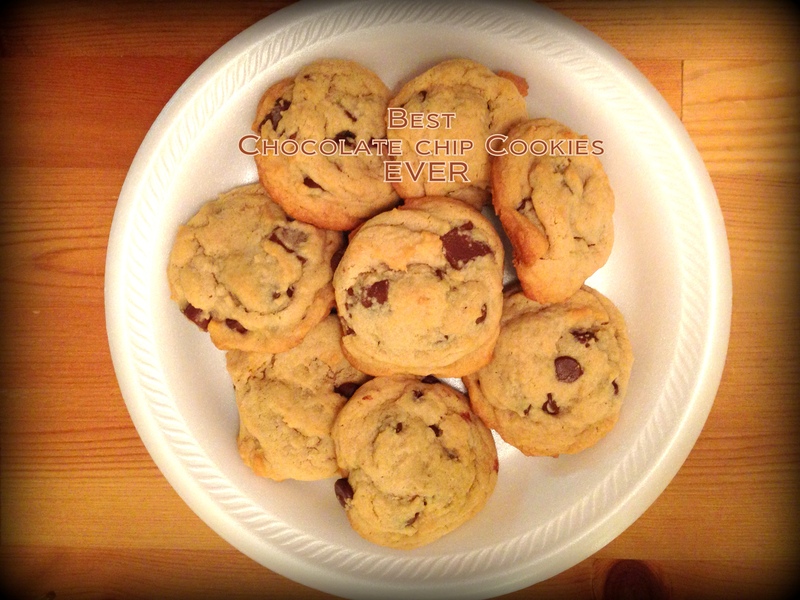 : Fold in chocolate chips between each cup of dry ingredients. This ensures that chocolate chips are IN your cookies and not just on the outsides of the batter. Drop heaping tablespoons (I use a 1½ tbsp cookie dough scoop) of the dough onto a nonstick, PAM-ed cookie sheet (or, if you are like me and prefer as little cleaning as possible, use parchment paper on the cookie sheet).